Mention Las Vegas and you will think of The Rat Pack! 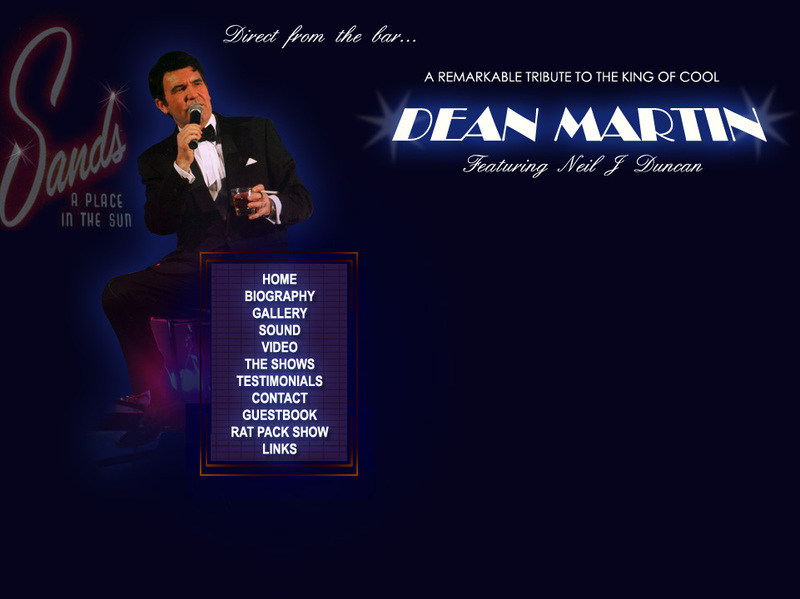 With Tony Adams as Frank Sinatra, Neil Duncan as Dean and Jim Whitley/Darren Charles as Sammy you have a superb tribute to the famous three and an evening filled with music, memories and mischief! Jim Whitley had a successful career as a professional footballer, playing for Manchester City. After injury cut his career short he concentrated on his other talent - singing and performing. He has firmly established himself as a first class crooner and one of the finest Sammy Davis Jnr. tributes in the UK. Darren Charles is a trained dancer and actor and has featured in numerous West End musicals including The Rat Pack Live Show. His portrayal of Sammy Davis Jnr is exceptional. These guys look like the real thing, sound just like them and have spent years mastering the mannerisms and sense of fun that made the Rat Pack Show so special. The |Show is available to playback tracks, with a 3 piece band or a 6/7 piece band. See the Contact page for details to book the show.